A magnet and a handful of paper clips can keep a child busy for a long time! 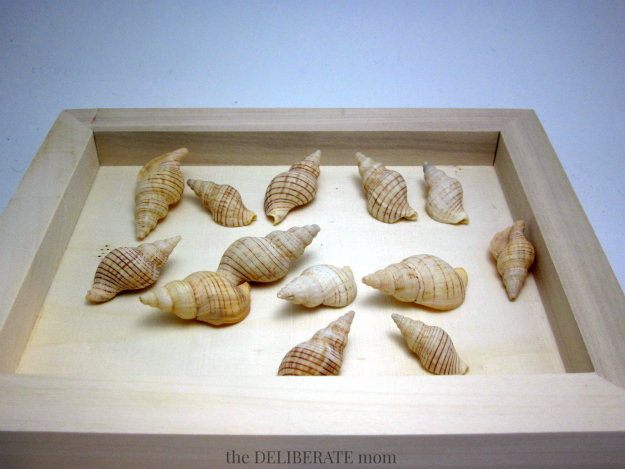 A tray of sea shells or other natural items such as rocks, leaves, or herbs can be a delight for a young child to explore. 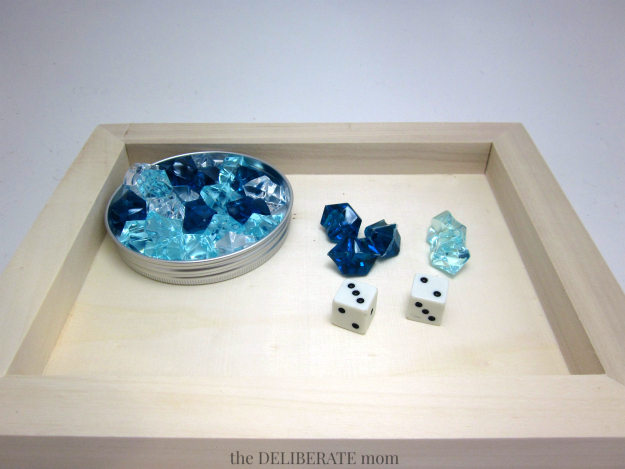 Dice and a container of items to count are a delight! Get two sheets of the same paint sample cards from your local paint store. Cut one up and keep the other intact. 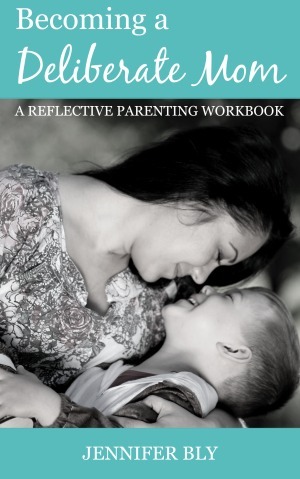 Encourage your child to match the shades of colours! Provide small letters with flashcards and encourage your child to “spell” (match) the letters to the flashcard. This activity is great for building muscles in hands and fosters hand-eye coordination. Set up a pile of pom-poms with tweezers or tongs. Encourage your child to transfer the pom-poms, one-by-one, to another container. This is another great activity for strengthening muscles in hands. 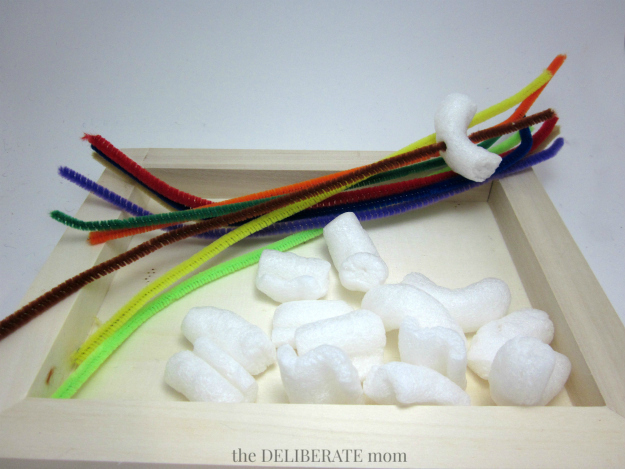 Encourage your child to poke pipe cleaners into packing peanuts. See how many packing peanuts can be added onto one pipe cleaner. 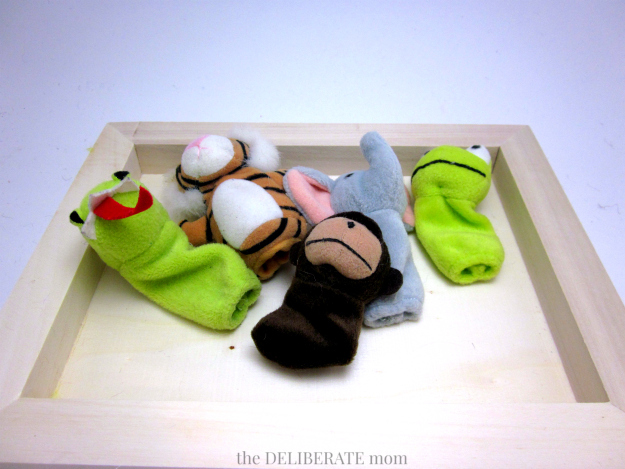 Fingerpuppets are always a fun activity for young children. Provide a couple books for inspiration and watch them be engaged for a while! I know I mentioned it before in my post about introducing sewing to children but sewing is one of my favourite hobbies. 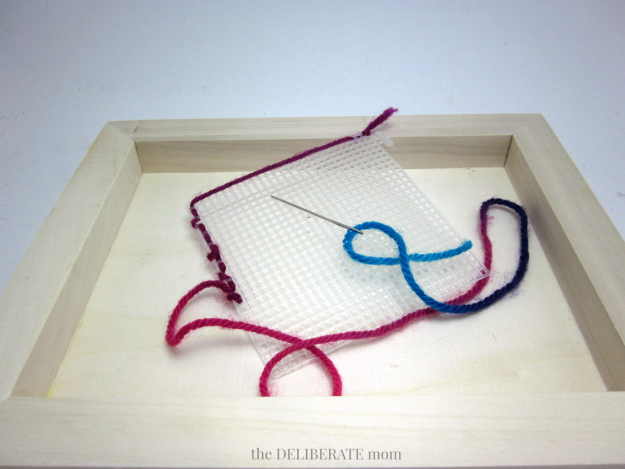 This activity tray simply needs a small square of plastic mesh, a blunt sewing/craft needle, and some yarn. That’s it! 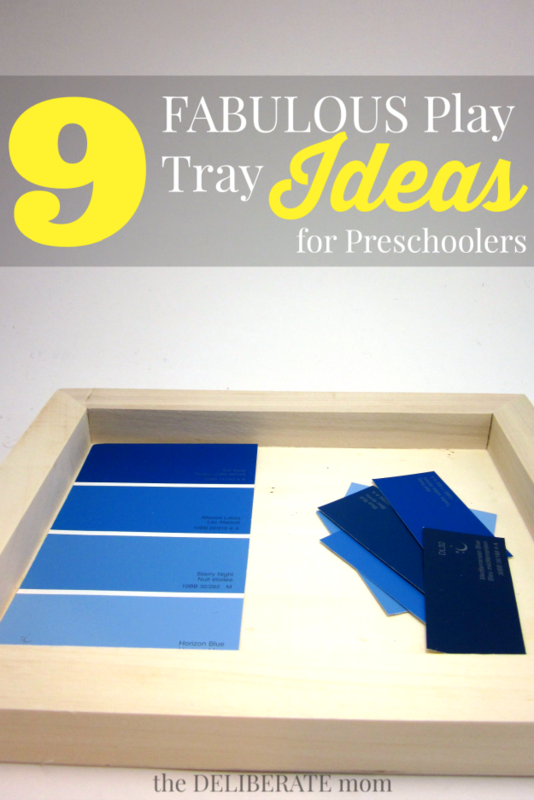 Those are my 9 fabulous activity tray ideas for preschoolers! If you like the appearance of my actual trays, they are simply wood canvas boards which I bought from the Dollar store! Do you use activity trays? If so, what are your favourite activity tray ideas? My 3-year-old loves these experiences… although her big sister will sometimes move in on them (she would rather sew than homeschool… LOL). I’m having a great week… it’s a little crazy around here, but it’s good. I absolutely love your tray ideas! I am going to use a few of these! I’m glad you like them Echo! I love having something quick to bring out and engage my youngest. Super cute ideas. I really like the sewing activity! Where do you get the square mesh? My middle child would love this. I’m glad you liked this April. I found the mesh at Michaels craft store. It comes in small squares and larger sheets too. I’m delighted you enjoyed these Keri! 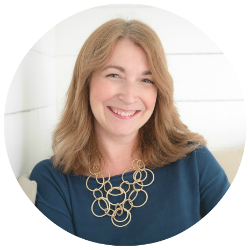 Sorting activities are awesome for young children… and there are so many different ways that things can be sorted and classified. I use many of these in my preschool sensory boxes in my classroom. 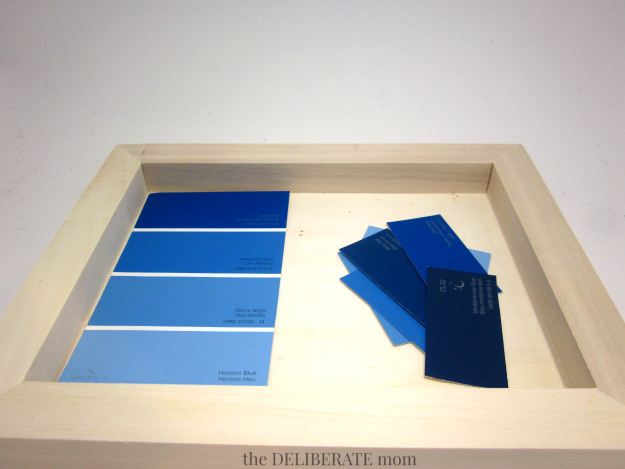 I love, love the paint swatches idea. I’m going to have to steal that one. The favorite ones among my students are the peanuts and pipe cleaners, actually anything with pipe cleaners is a hit. I put straws and pipe cleaners together, they enjoy fitting them through the holes. Ooooh, you steal the paint swatches one and I’ll steal the pipe cleaners and straws one. Awesome! I’m so glad you enjoyed this Michelle! This is a good variety of activities. I really like the tray of spelling the words from the word cards. Pinning for future use when my son is old enough! I like to have lots of variety (and I try to have 3-4 of these prepped and ready to pull out on a whim). What kid wouldn’t like these?! They are fabulous! I also like how simple they are to put together. I think the packing peanuts would be a BIG hit right now for even my toddler! Pinning! I try to come up with fun but “educational” activities for my preschooler. 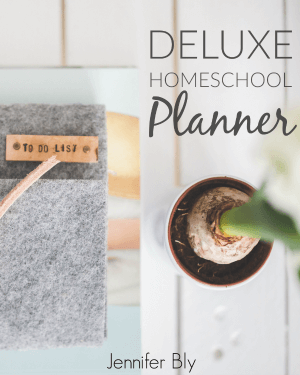 She needs to be kept busy or our homeschooling day can quickly unravel. 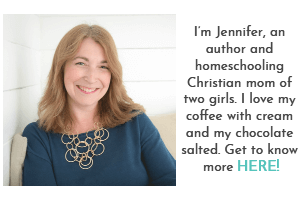 Long time Jennifer, I like the spelling flash card idea. Started doing that with my little girl. It works. Blessings to you friend. I’m delighted you enjoyed this Ifeoma. I like the flashcards one too… especially because I love those flashcards (they have different artists’ work on them). 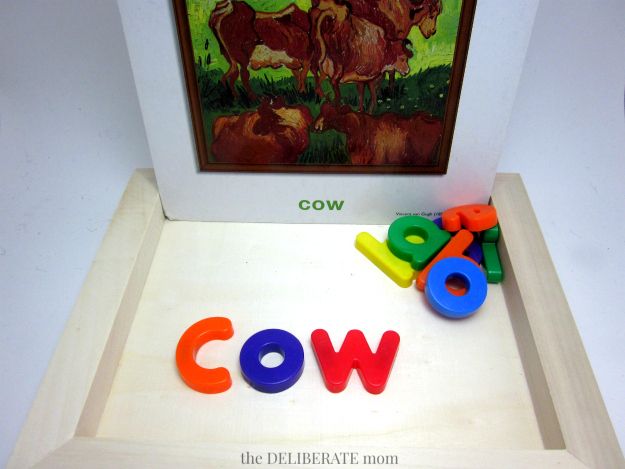 Oh, I love, love, love the flashcard one for matching up the letters! I’m going to set that one up today. We have so many flashcard sets people have gifted our little one as stocking stuffers and the like, and I never knew what to do with all of them. I’m really glad I didn’t clean them out on the last donation run. Yay! I helped you find use for your flashcards! The girls love that activity too (yes I said the girls… because sometimes big sister would much rather be doing what the youngest is doing, instead of attending to her own homeschooling lessons). *SIGH* I guess you can’t win them all! These are such cute ideas. 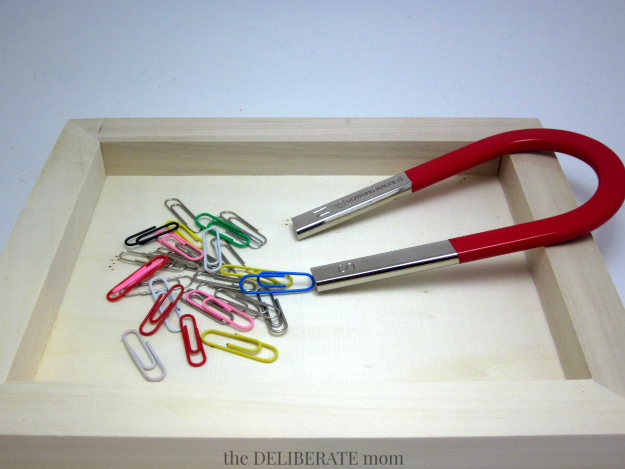 My husband would absolutely love “building” a simple little tray to do this. He loves any excuse to make or build something. It’s so wonderful that children are fascinated and learn by the simplest tasks like putting pom pom balls in a cup with tongs. Great ideas! I’m delighted you enjoyed these ideas Monica. You should check out my “How to Teach Children to Sew” post – lots of ideas there to teach sewing skills regardless of age. This is brilliant! I am soooo going to do the tongs and pom poms tomorrow with Emy, thank you! I’m delighted you enjoyed these ideas Kristen. My girls love the pom-pom pick-up activity. These are fabulous! I love that sewing one. I’m glad you enjoyed these play tray ideas Amber – I love the sewing one too. What great ideas! Next time I am at the dollar store I will be looking for those trays. Now I know what to put on all my ‘up too high’ shelves in the kids’ play room! I’m glad you enjoyed these suggestions Sarah! Yes, I keep my trays up high in the closet. I pinned this the other day but didn’t get a chance to comment. LOVE!!!!!! Such great and simple ideas!!! These would be perfect for both of my boys. These are exactly the kind of ideas I was looking for, something educational and fun! You’re so awesome, thank you for sharing!!! I’m glad you enjoyed this Jessica! I like simple activities… and it’s neat to see what the children do and learn from these activities too. I always have 4 trays prepped and ready to whisk out on a whim. These ideas are genius! 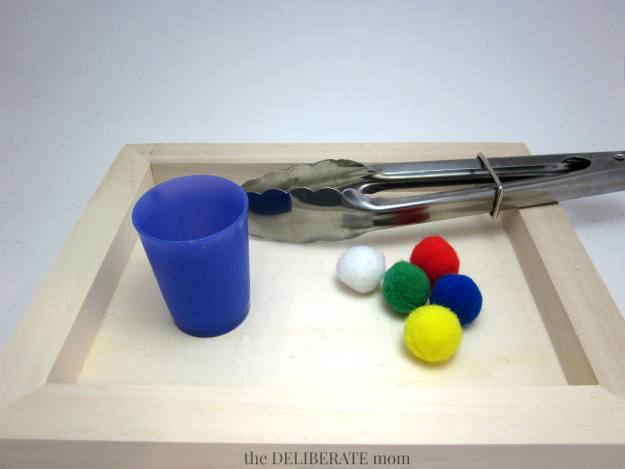 I love using trays for preschool activities too but I’ve been stuck on playdoh or legos in the tray and need something new! The paint chip idea is my favorite! I’m so glad you enjoyed these ideas Amanda! Yes, the paint chips one is one of my favourites too. Love the idea with the magnet – so simple but hadn’t thought of that – going to go and get one! Magnets are great and there are so many things that you can add to it to make it even more exciting! Really cool tips and ideas on this post too. I love so many of them and there are a few my son will love. I am definitely going to do these. Thanks for the ideas!! I’m delighted you enjoyed this Cindy. I love having play trays prepped and ready to use whenever we need it most! I’m glad you liked these ideas Carolina! I hope you and your daughter enjoy them.